Our recent expansion has greatly increased our Northland pet boarding abilities and we're confident in calling ourselves a full-fledged pet resort. 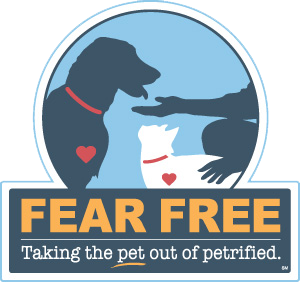 We want to make it as convenient as possible to provide your pets with care. 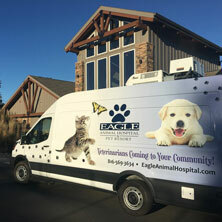 Click here to see where our mobile Vet Van will be next! We highly recommend annual pet wellness examinations so any issues can be detected in an early stage so it can be resolved and treated with less difficulty, less expense and greater success. 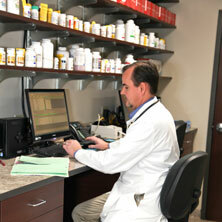 Through our easy to use online pharmacy you can purchase pet food, medications, and more. Click here to visit the pharmacy now. 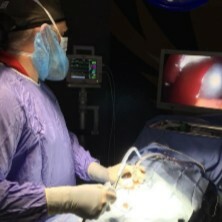 While Surgery or CT scans can seem scary for our pets, sometimes they are necessary routes to take. At Eagle Animal Hospital we are now offering CT Scans and Laparoscopic Surgery! Welcome to Eagle Animal Hospital & Pet Resort! The newest expansion to our animal care center allows our staff to provide your family pets a single source for all their needs including: medical, obedience training, luxury boarding, and daycare. 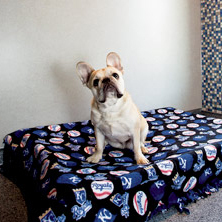 Our goal is to improve your pet’s health, quality, and length of their life by providing complete and comprehensive health care in the Kansas City area. We strive to provide you with caring, professional guidance and support your needs in order to make the best health care decisions for your pet. Our doctors and staff work as a team to help our patients and their families spend many happy years together. Come take a look inside the newly renovated and expanded state-of-the-art facility. Eagle Animal Hospital & Pet Resort is proud to have been a part of the Northland for the past 70 years. 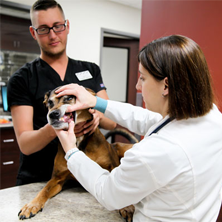 At our state-of-the art facility we offer traditional pet health care services as well as other convenient services such as our mobile health clinic, pet resort, pet daycare, and online scheduling to make caring for your pet even easier.